The Scoop: Over a decade ago, Laurie Berzack set out to become a professional matchmaker and make a difference in the dating scene. She founded Carolinas Matchmaker to offer worthwhile, time-saving, and hands-on solutions for North Carolinians seeking a relationship. But Laurie didn’t stop there. In 2016, she combined her altruistic spirit and dating knowledge to create Philanthrodating™ events during which singles take part in a values-driven dating environment. So far, Philanthrodating™ has raised over $16,000 for charitable causes and introduced hundreds of singles who are looking for something real. Changing lives isn’t just Laurie Berzack’s passion — it’s her career. She entered the matchmaking industry over a decade ago because she wanted to make a difference in the world and thought that inspiring love in people’s lives was the best way to do it. 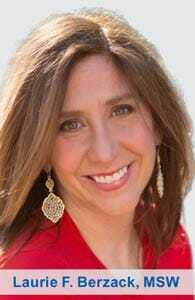 Laurie Berzack, MSW, founded Carolinas Matchmaker to bring more love in the world. Laurie earned her master’s degree in social work and started her career working for a nonprofit, so she has always had a penchant for helping others and giving back. When she became a local matchmaker, that compassionate side of her thrived and led her matchmaking company, Carolinas Matchmaker, to become one of the leading dating services in the Carolinas. Throughout her career, Laurie has helped thousands of professional singles maintain a positive mindset, avoid dating frustrations, and meet potential love interests. The matchmaker carefully selects her clients and only takes on relationship-minded singles who have their hearts in the right place. Her values-driven approach to matchmaking has seen great success on a local level, and the boutique company now offers a host of services and events to meet the needs of serious daters in the Carolinas. In 2016, Laurie trademarked the term Philanthrodating™, which combines philanthropy and dating, to put her matchmaking skills and philanthropic interests to good use. She combined her passion for helping singles meet and giving back to the community and created one-of-a-kind singles events. The premise of Philanthrodating™ is that engaging in acts of charity allows daters to create a strong foundation for a relationship. People who share similar values and interests naturally hit it off, and the teamwork involved in volunteerism facilitates building those bonds. 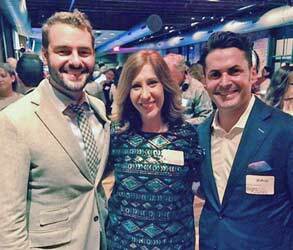 Philanthrodating™ events attract altruistic singles in North Carolina. Today, Laurie and her team organize Philathrodating™ events to help charitable singles meet one another while contributing to a good cause. In addition to donating 100% of the ticket sales to a local charity, there is also a hands-on volunteer component. These activities range from making chew toys for a dog shelter to packaging gift boxes for hospitalized children. The work is never very strenuous and always leads to thoughtful conversations. Hundreds of kind-hearted singles show up to these events eager to do a good deed and meet worthwhile date prospects while they’re at it. The company’s next Philanthrodating™ event will be a singles volunteer mixer at Flight on Wednesday, October third. Representatives from the Cystic Fibrosis Foundation in Charlotte will serve as co-hosts by inviting their own single friends and assisting with the hands-on volunteer activity. Carolinas Matchmaker has partnered with many nonprofits, including The American Pitbull Foundation, Guys With Ties, Share Charlotte, Cystic Fibrosis Foundation, Two Steps Forward, Isabella Santos Foundation, Halfway There Rescue, The Learning Collaborative, and Opera Carolina to host creative and fun philanthropic events that benefit people in more ways than one. As a dating professional, Laurie prides herself on being a straight shooter. She doesn’t shy away from having tough conversations with singles and telling them what they can do to improve their dating lives. 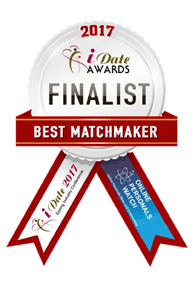 Laurie was a finalist for Best Matchmaker at the 2017 iDate Awards. Another service Laurie provides in addition to the high-end matchmaking packages is the Be Your Own Matchmaker coaching session. This includes 90 minutes of dating coaching either in person or via Skype or FaceTime. This is an affordable option for singles who just need a little advice and encouragement. Dating coaching clients pay as little as $490 for Laurie’s insights into the online and offline dating scene. Clients come away from her one-on-one meetings with heads full of ideas, theories, and tactics. In the first hour-long session, Laurie makes a point to give her coaching clients a homework assignment — it could be something as simple as starting a conversation with five strangers — so they have something to work on between sessions. In approximately six weeks, she arranges a 30-minute follow-up session during which she assesses their progress and makes sure they’re on the right path. Some matchmakers decry the imperfections in online dating and urge daters to stay away from sites and apps, but Laurie has gone a different route. She embraces the technology that connects millions of singles and has taken steps to ensure her clients succeed in finding a partner using the resources available to them. Carolinas Matchmaker’s newly released online dating assistance program offers singles a virtual wingman to help them navigate dating sites and apps without feeling overwhelmed. Laurie and her team of matchmakers help manage their client’s dating profiles, craft potential responses, and deliver five curated matches a week. They use their professional judgment and insight to handpick the most compatible dates on the dating site, and thus make the entire process easier on singles. Laurie said she’s happy to do the work for her clients and use online dating’s massive reach to improve the chances of making a truly great match. Laurie said she makes an effort to keep up with the fast-changing trends in the dating scene, particularly when it comes to online dating, so she can give her clients the best advice. She has worked with professionals throughout the industry and honed her coaching approach by learning from the best. Laurie isn’t content with just helping one or two people find love. She got into the matchmaking business to change lives and make a difference in the world, and her commitment to doing as much good for as many people as possible has driven her matchmaking company forward. Carolinas Matchmaker provides essential support and guidance for singles in the dating scene. Clients can count on these local matchmakers to help them meet people, improve themselves, and even give back to the community. The company’s multi-faceted services and events meet singles where they’re at and set them up for success. The team doesn’t just focus on pairing singles up — they partner with their clients throughout their dating journeys and offer resources to make the experience easier and more enjoyable. Whether they’re overhauling a dating profile or arranging a charitable event, these dating professionals go the extra mile to make sure singles have plenty of opportunities to find that special someone. Under Laurie’s leadership, Carolinas Matchmaker has positively influenced the lives of countless people.